Chrome plated Collapsible Shoe Stand and Footwear Display Standalone Unit. Height including header clips 1350mm. Height of clip to hold header - 35mm. 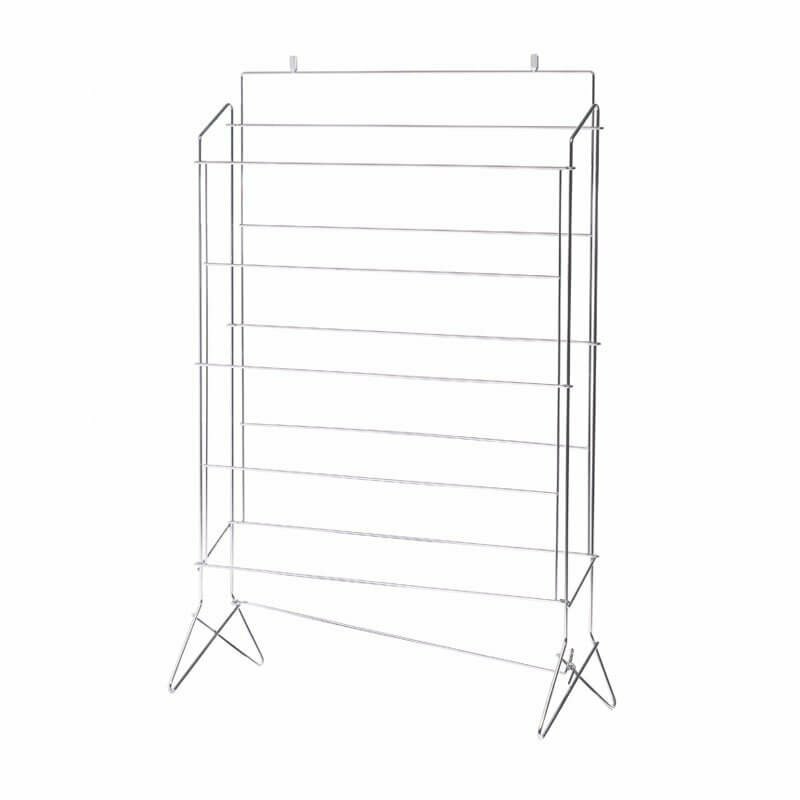 Stand width - 920mm. Leg foot width - 380mm. Chrome plated.